Our spotlight on new stallions for 2018 shifts to Spendthrift Farm, where Tom's Ready took up stud duty this year. On the track, the 5-year-old son of More Than Ready was a multiple graded stakes winner who won the Grade 2 Woody Stephens in one of the fastest times in recent memory. During his sophomore year, on his way to the Kentucky Derby, Tom's Ready was second to eventual star Gun Runner in the Louisiana Derby. Bred in Pennsylvania by Blackstone Farm, Tom's Ready was a $145,000 purchase at the Fasig-Tipton Saratoga Select Sale. He retired with earnings over a million dollars. Tom's Ready ITS from EquiSport Photos on Vimeo. 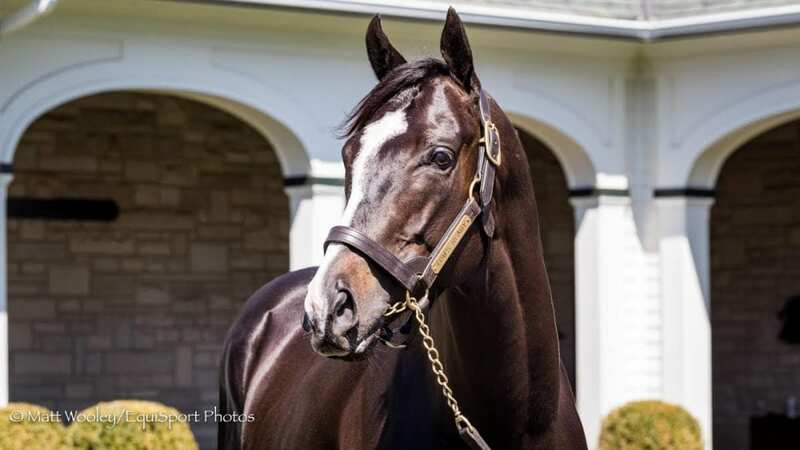 This entry was posted in Bloodstock, In The Stud and tagged EquiSport photos, Freshman sires, in the stud, spendthrift farm, Thoroughbred sires, thoroughbred stallions, tom's ready by Paulick Report Staff. Bookmark the permalink.